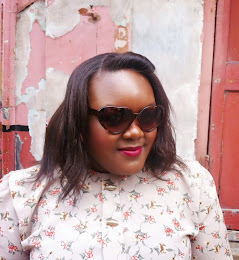 I’ve always wanted this blog to be more than just my fashion style. Don’t get me wrong, there is nothing wrong with that, but there’s too much for me talk about, too much that I think about for this to be just about the clothes I wear. I read @misscharl’s blog a lot and I love it! She is so honest and open with her readers. There is no pretense, no cover-up. When she writes a personal post, that is exactly what it is. I respect anyone who chooses not to fall into the “look at my life and how perfect it is – aren’t you jealous? Yeah, you’re jealous! !” trap. It’s a trap I think we have all been guilty of falling into at some point. As a reader and as someone who genuinely adores sitting down and getting to know people, what I want is honesty, what I want is realness and that’s what I’m going to try and incorporate in this blog. So I hope you guys enjoy the new stuff on the blog. I’m really looking forward to sharing more with you and being less afraid to be more expansive.